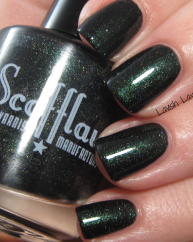 I am the Narwhal by Scofflaw Nail Varnish. 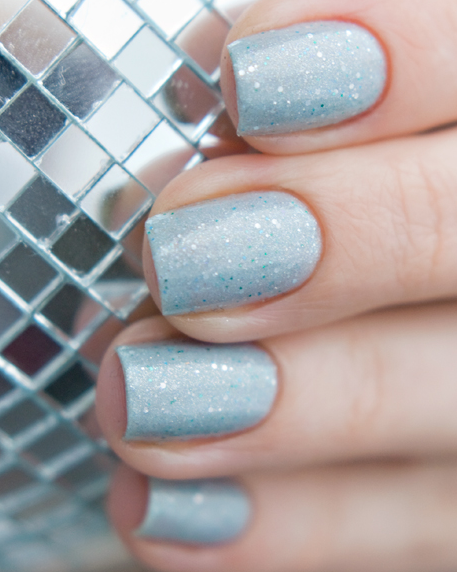 An icy silver blue shimmer polish. It has steely silver highlights and is filled with small glitters of silver and turquoise. It is typically opaque in two coats. I love this blue-grey polish! It is so fine and delicate. 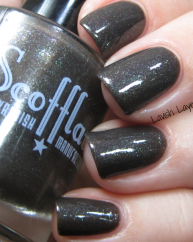 Formula was great – smooth, creamy, and opaque in two coats. Such a beautiful colour, very pretty on the nail! This polish is stunning. Opaque in 2 coats and the steely blue is so pretty. 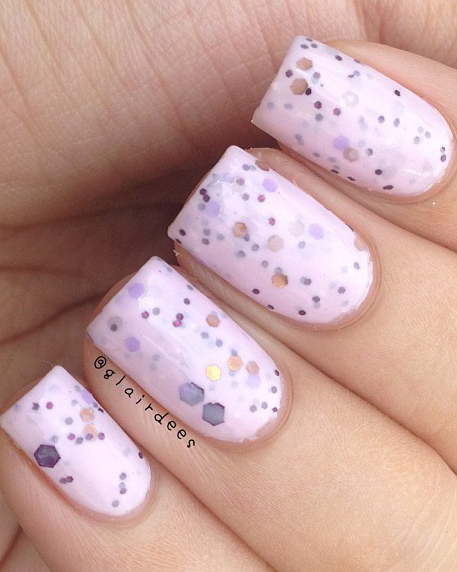 Great for a winter mani.